Seen a full grown Cougar - main hwy 8 towards Goderich, in spring 2016. I saw it jump from from side of middle of road into ditch in one leap. It had the long 3 ft tail, a cat's snub face and ears. 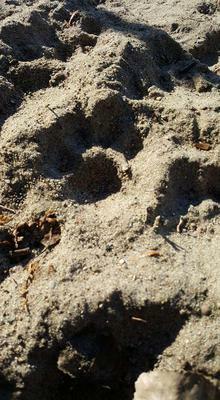 Then when I was working north of Goderich off of Blindly Road, I saw a paw print at the bottom of the beach - there is a 200 ft embankment along the shore.